When you see the March lily in flower, it's the first sign that summer's over. When you see the March lily in flower, it's the first sign that summer's over. The big, beautiful flowering stems of the March lily emerging from the bare ground are a sign that our South African summer is coming to an end. Its botanical name is Amaryllis Belladonna, and plants of this genus have several names: Belladonna lily, Jersey lily, Amarillo and in South Africa, March lily – because it flowers around March. It’s called a “lily” because of its bell shape and growth habit, but the March lily isn’t really a true lily. 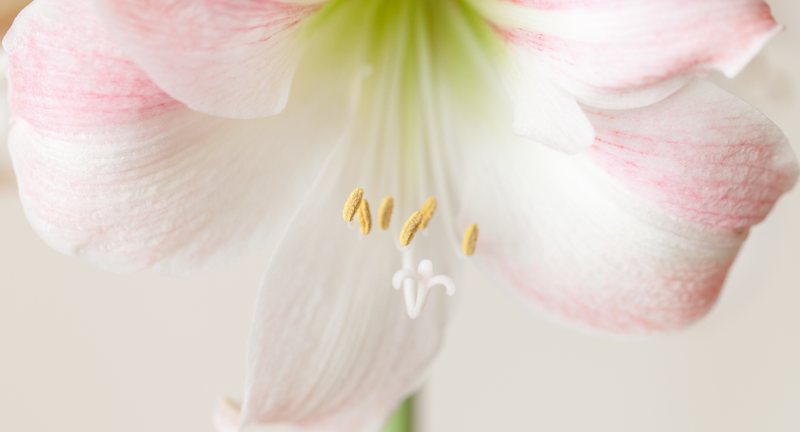 In the Victorian Language of Flowers (secret codes for what each flower represented) – amaryllis means “pride”. And these blooms definitely are the pride of late summer. See you next year, Summer. prevents its growth, so when that vegetation is burnt away, the March lily flourishes. It’s a fussy flower: this lily doesn’t like frost and it doesn’t like tropical climate either, preferring a long dry period, like the low summer rainfall area of the Western Cape. The March lily was introduced into cultivation over 300 years ago. It’s slow to reproduce, usually by bulbs or seeds, and it grows well in environments that are similar to its native South African habitat, so you’ll see it in parts of Australia, and in August on the south west coast of the USA.